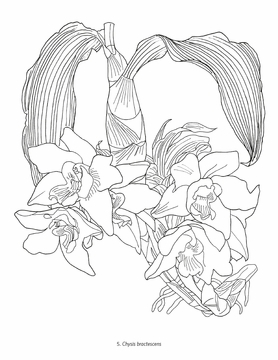 Exotic orchids used to be so expensive that only the very wealthy grew them or purchased them. 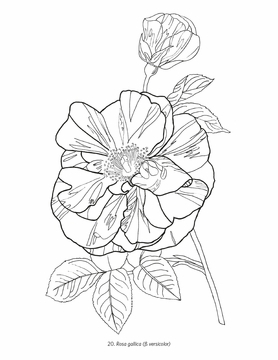 Roses of all sorts, on the other hand, have long been tended by rich and poor alike. 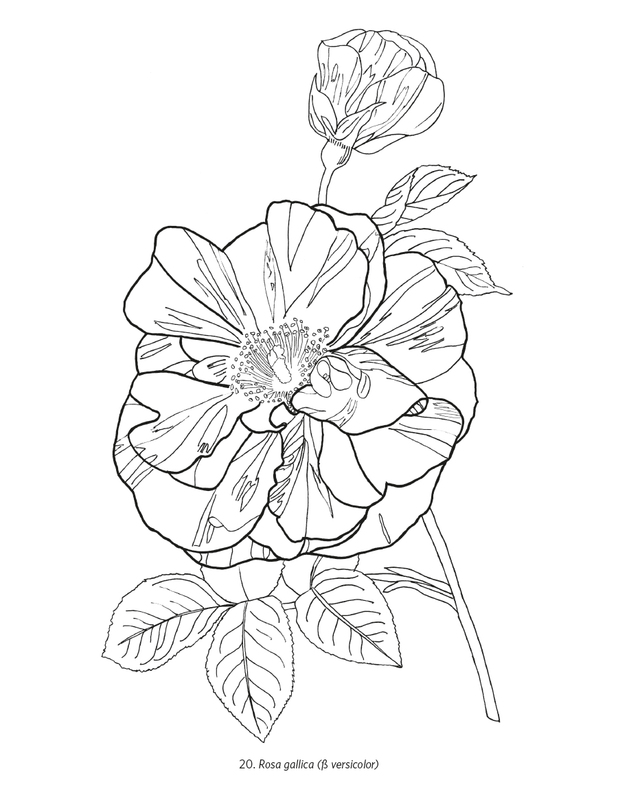 Today, both species of blooms are the favorites of countless gardeners. 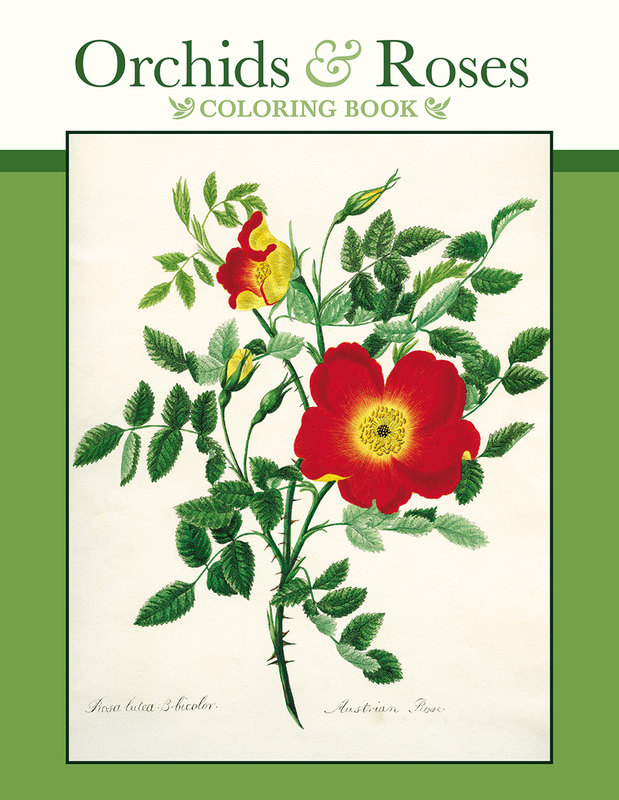 The botanical illustrations included in this coloring book are held in the collection of the Royal Botanic Garden Edinburgh. 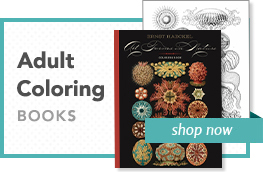 Whether you choose to color in keeping with the originals—shown on the inside covers—or create your own orchid and rose “varieties” using new hues, each page is blank on the back and suitable for framing. We’ve even included a page on which you can draw and color an orchid or rose to be named after you—in Latin, of course.